Utilize our financial marketing expertise. We create custom design and integrated marketing to communicate your brand, service, and differentiation in support of your bottom line. From logo and website design, campaigns to content marketing–tap into our expertise in financial services marketing. Financial App Development? We’ve got that. From portals to portfolio and proprietary trading performance systems, our technology solutions are used across a range of divisions including operations, compliance, reporting, IT, marketing and sales. 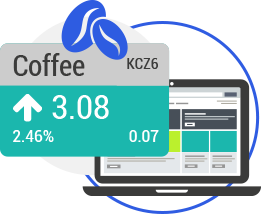 Creating powerful data visualization such as quote displays, heat maps, charting, customized for your website or application combined with financial analytics to provide value and create loyal users. 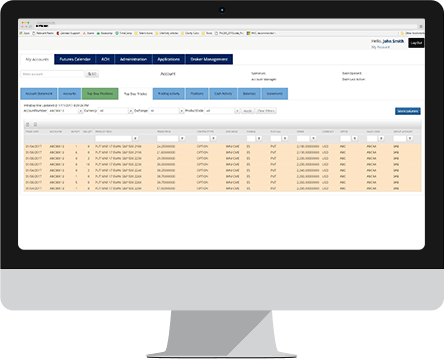 Whether for internal or external use, for trading, operations, compliance, or reporting, we can develop a central control system for managing processes efficiently, so you can better serve your customers. Have a unique development idea? 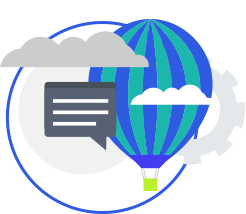 Need to know how to get it built or integrated within your current system? Let’s talk about your idea and we’ll outline a solution to meet your budget and goals. Financial Technology Solutions to streamline your business. 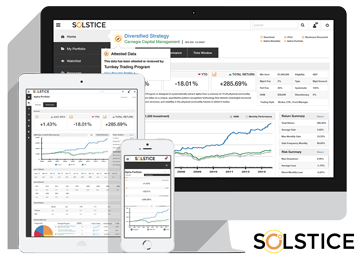 Solstice is a new alternative investment and wealth advisor database focused on providing investors with powerful, innovative tools for building investment strategies and for managers to create visibility for their strategy. As a hedge fund, CTA, or wealth manager, a tear sheet is the one marketing tool every fund manager must have. 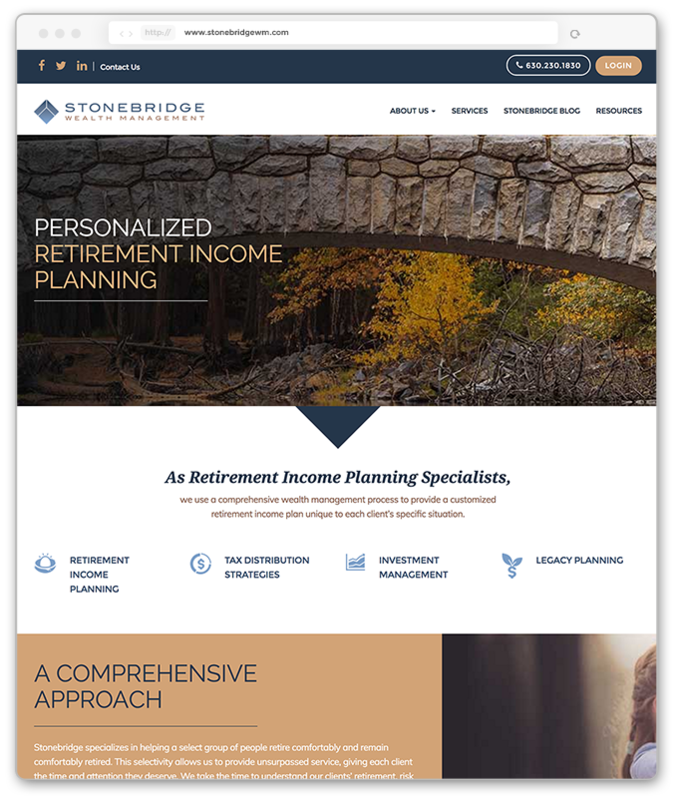 When working with institutional allocators, family offices, investment advisors and individual investors—your tear sheet is essential to starting the conversation. 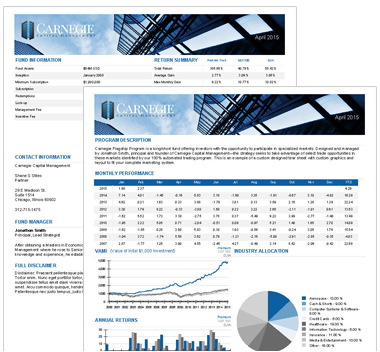 A great tear sheet provides an investor a view of your performance, insight into your strategy, the background of the managers, costs and risk information in 1-2 pages. 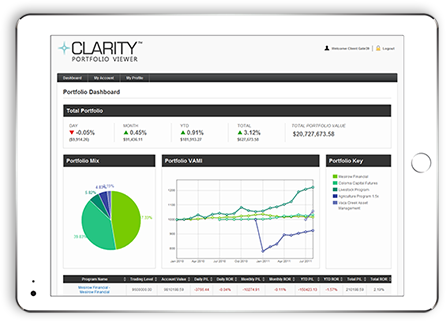 Clarity provides investors with a complete view of their managed futures portfolio based on actual statement data direct from the FCM updated daily. 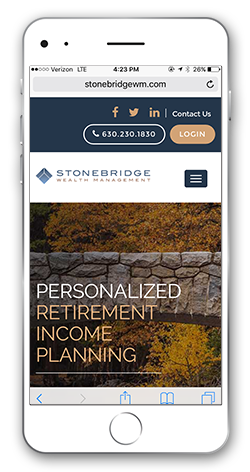 Total performance across all programs and individual programs are calculated and displayed online in easy to read charts, graphs and tables including iPad and smartphone friendly formats. Quick1FR makes 1FR reporting easy by using the same data provided by the FCM to the CFTC daily to produce online reports on the FCMs website, upload documents, provide complete tracking for compliance purposes, email alerts to prevent failure to comply with the rule, and the ability to create compliance and financial reports for management. 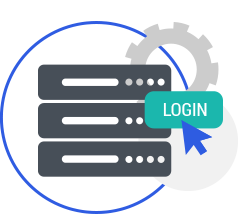 Our Online Account Application and Management System provides FCMs with a total application process—from the online application a client fills out, an IB view to monitor progress, and a full-featured back office to track and process the applications. 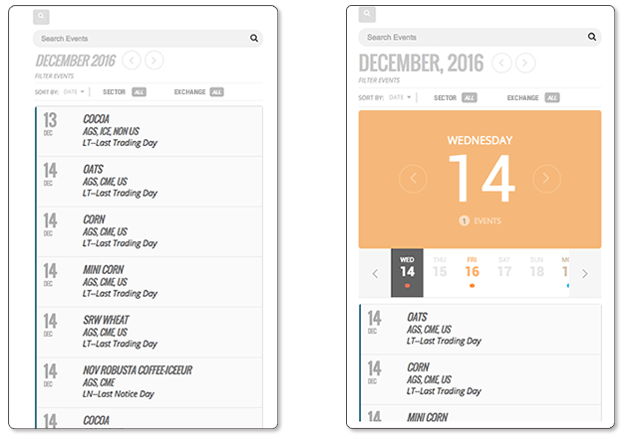 Our new FinCal service offers clients secure, responsive, fully hosted, and searchable financial calendars displaying key dates and reports on leading products on CME and ICE. 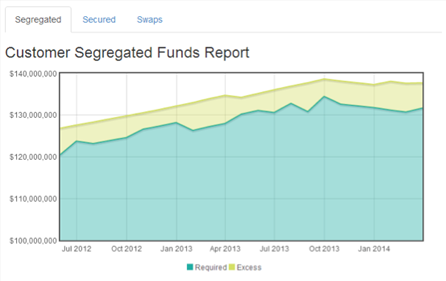 Access daily and monthly views, filter by exchange and sector, and enjoy a growing list of options and features. We keep our clients competitive. 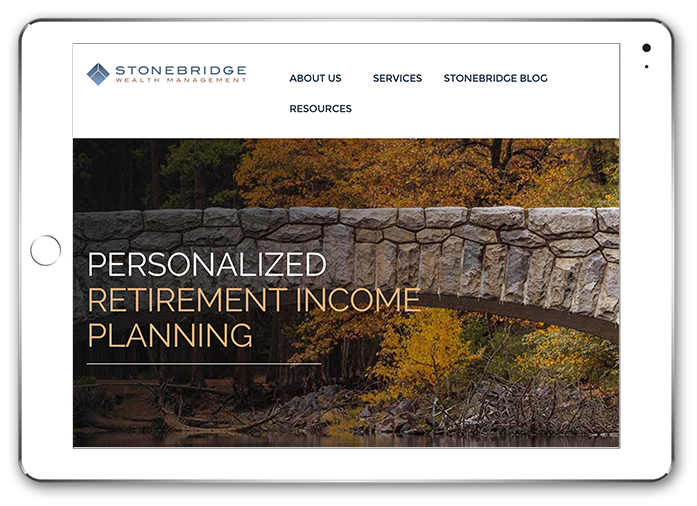 We have served financial industry clients for over 15+ years with web, marketing, and technology solutions designed to keep them competitive. Each member of our team works in sync to produce attractive and effective design, development, marketing, and technology solutions to delight clients. Our team works in sync to provide an excellent customer experience, using a 5-phase process to produce effective design, marketing, and technology solutions. Gate 39 Media is actively involved in organizations supporting financial industry firms, exchanges, IBs, CTAs, Futures and Options Exchanges, and FCMs.